If you’re still staring at the same screensaver pics from your 2012 trip to Baja, you need a new getaway. Yep, we’d all love to be squeezing lime over fresh papaya in Hawaii this weekend but that’s probably not gonna happen. The good news is if you live in California, you have everything you need for an inspiring weekend escape without going into debt over airfare. Below are some of my suggestions — noteworthy spots that I’ve visited over the past year — that will put the spring back into your weekend step. Now, I just need to get to Baja. (All photos are mine. Please ask before posting elsewhere or risk being vexed by the travel gods like Hawaiian Peter Brady). 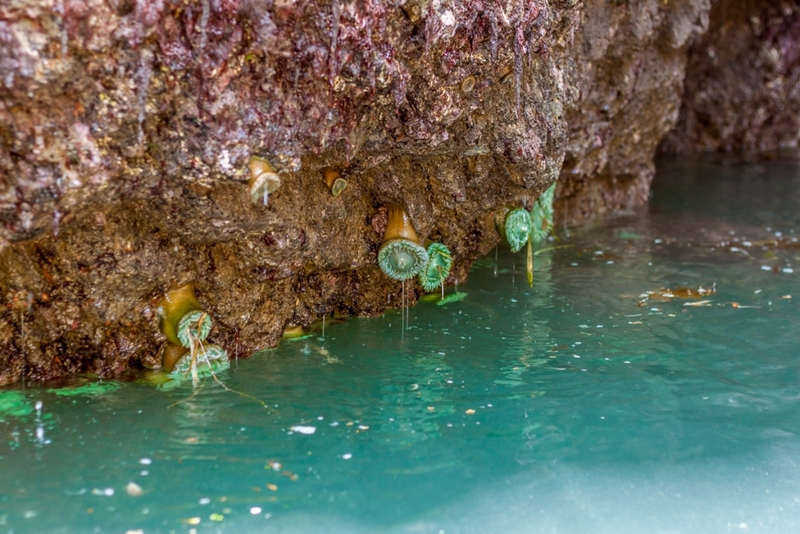 You needn’t be a seasoned kayaker to glide over underwater kelp forests, past craggy outcrops dotted with giant green anemones, and through cathedral-like sea caves carved into Mendocino’s wild coast. Get hooked up with Craig of Kayak Mendocino who will outfit you with everything you need before guiding you through this offshore wonderland. 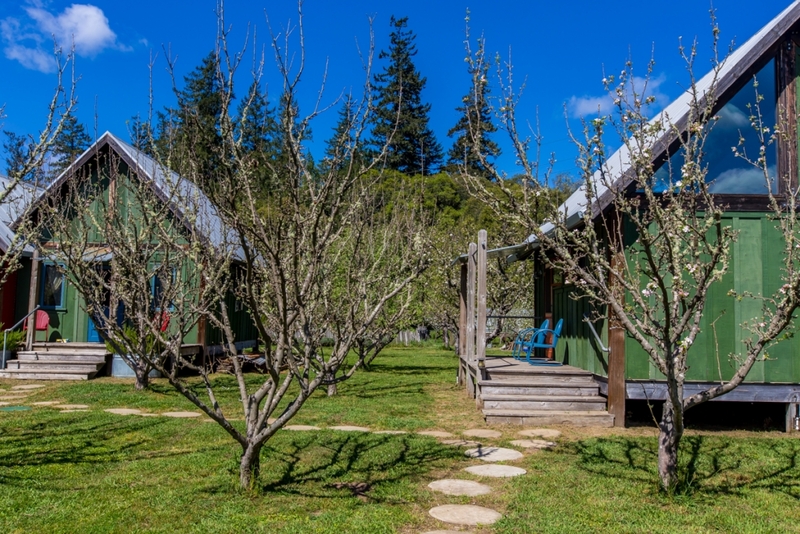 Set amidst Anderson Valley’s pastoral landscape of rolling hills and vineyards is the serene Apple Farm. Stay in one of a handful of rustic-chic cottages set in an apple orchard and outfitted with soaking tubs and outdoor showers. Even if you don’t stay the night, be sure to swing by the quaint honor-system farm stand stocked with homemade jams, juices, and a variety of heirloom apples. 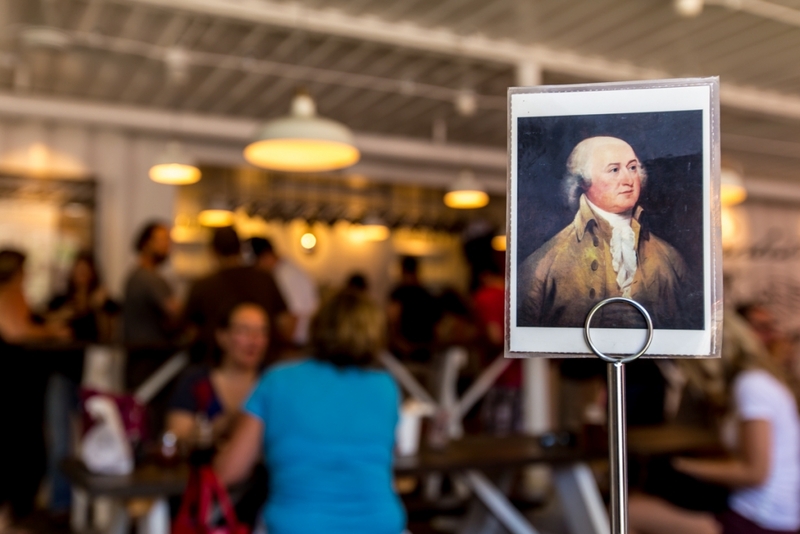 While no one was looking, San Luis Obispo County became a killer food destination. Pop into town and sample the zestful tapas and sleek interiors of Foremost Wine Co, solid craft cocktails at Sidebar, refined comfort food at The Spoon Trade, and incredible wood-fire dishes at Ember. One of California’s most stylish resorts began life as a nondescript Holiday Inn hidden in suburban Goleta. Now, The Goodland is a design lover’s destination with rich Boho decor, a hip craft cocktail bar, a bumping indoor-outdoor restaurant, and a sprawling pool that’s ringed by blazing fire pits. 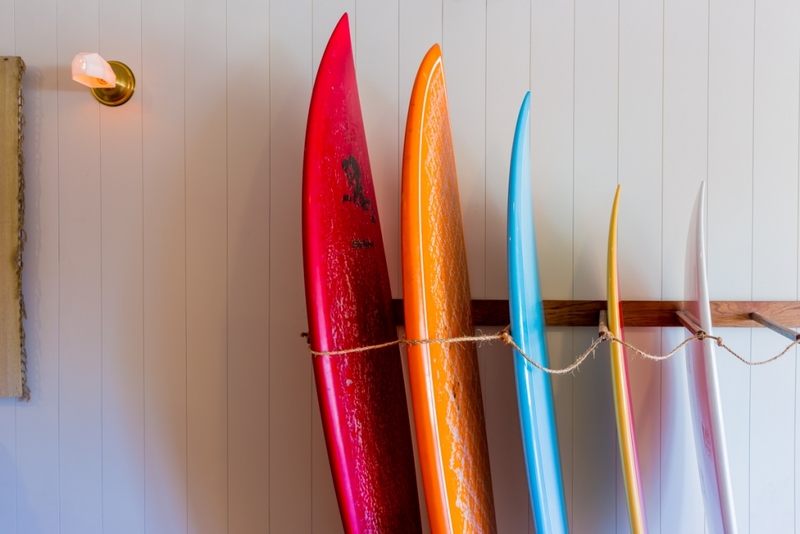 Dressed with kilim fabrics, cow skulls and vibrant surfboards, the Laguna Beach House is a modern surf lodge done right. Walk to Laguna’s central village and the palm-tree-sheltered sea coves of Heisler Park or stay put and kick it on the Beach House’s light-strung pool deck. 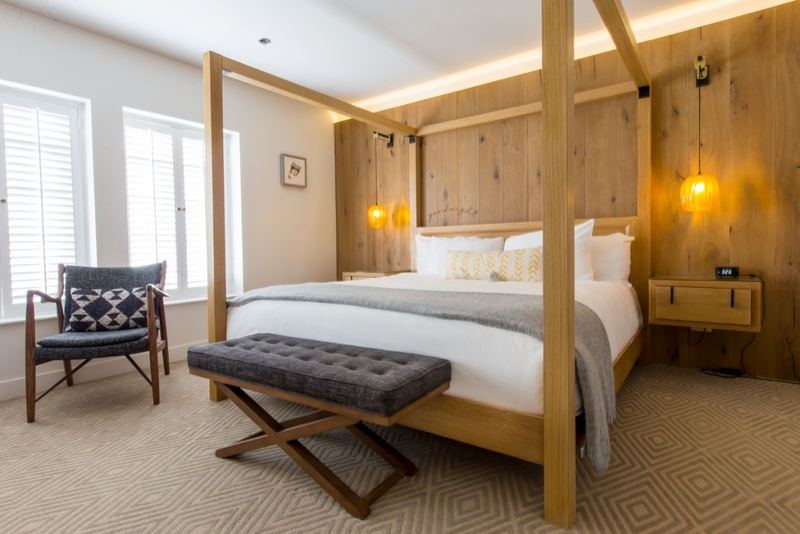 Kitschy, Danish-themed Solvang finally gets the smart Scandinavian style it deserves with The Landsby whose eye-candy interiors will bring design lovers to their knees. 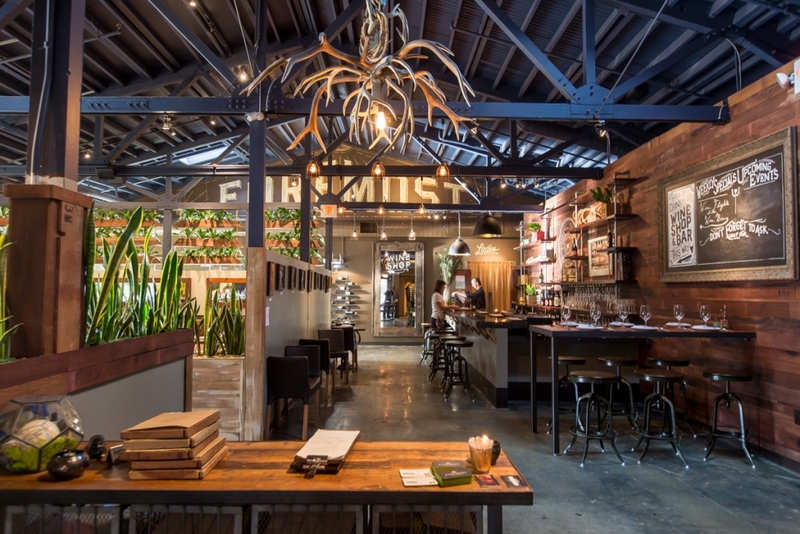 Their contemporary Mad + Vin restaurant dishes up some of the best food and drink in town. Take a cocktail out to the wooden loungers in a sheltered garden warmed by fire pits. Angelenos have already discovered this former railroad stop whose mini main street now sports the hip Alamo Motel, old west saloon at the Union Hotel, an atmospheric winery & craft beer bar combo owned by actor Emilio Estevez and his wife, killer baked goods at Bob’s Well Bread, and soulful wine country grub at Bell Street Farm. 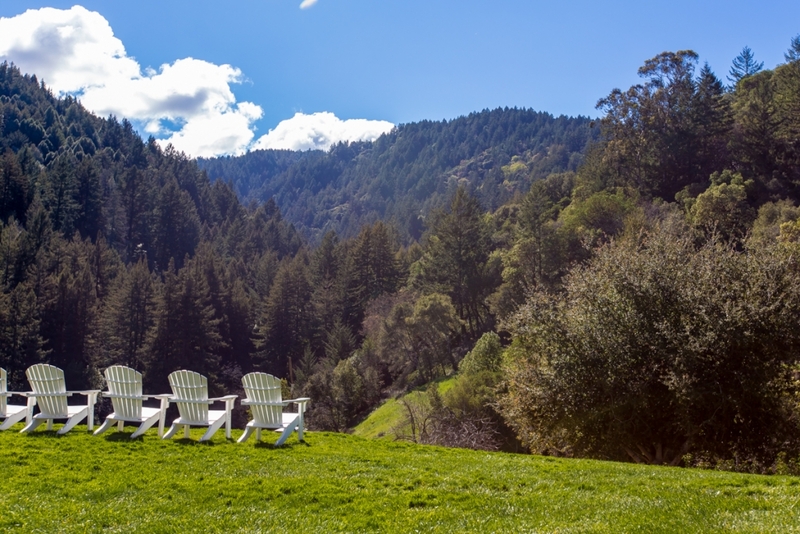 Hidden within the Santa Cruz Mountains of Saratoga, Savannah-Chanelle Winery delivers the goods: dramatic views of forested hillsides and Silicon Valley, great wine enjoyed on grassy lawns, and a creek that ripples through a quiet redwood grove. 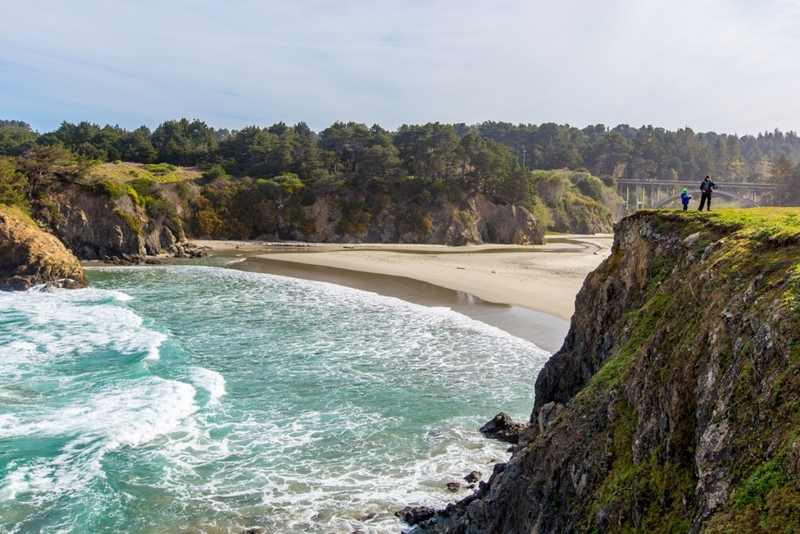 Skip the pricey day spas and retreat centers for the dramatic coastal cliffs of Mendocino County whose majestic beauty will make all right with the world. Leisurely traverse the seaside bluffs at the Mendocino Headlands, Jughandle Reserve, or the newly expanded Noyo Headlands Coastal Trail in Fort Bragg (which skirts the translucent “pebbles” of Glass Beach). Base yourself at one of the splurge-worthy Blue Door properties or stay on the cheap at the beachfront Beachcomber Hotel. Shrouded in misty primordial forests, Humboldt County has served as an otherworldly backdrop for fantasy flicks like Star Wars and Jurassic Park. 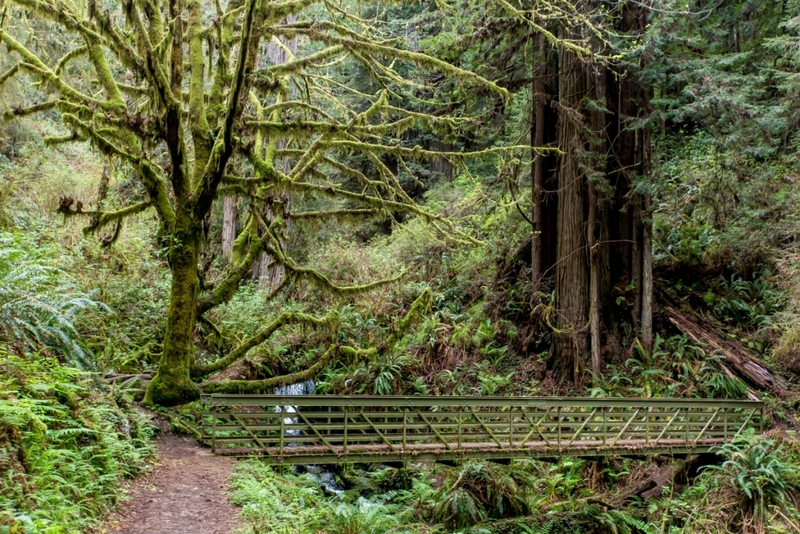 Seek out the Trillium Falls Trail in Prairie Creek Redwoods State Park which quickly delivers you to its namesake falls which cascade through a fern-blanketed redwood forest. There’s no denying that the wildlife-filled waters of the Monterey Bay are a worthy destination. 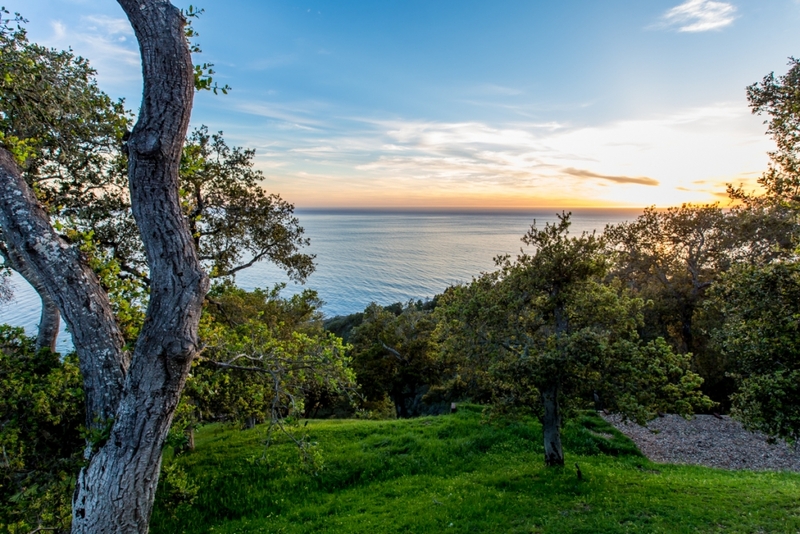 But head inland in Monterey County and you’ll discover the beautiful, less-touristed wineries of the Santa Lucia Highlands (Paraiso and Wrath have great wine and beautiful settings) as well as the destination-worthy food and atmosphere of Patria restaurant. When you all you can muster is to hand over your AmEx and and enjoy what follows, call upon Bernardus Lodge & Spa. 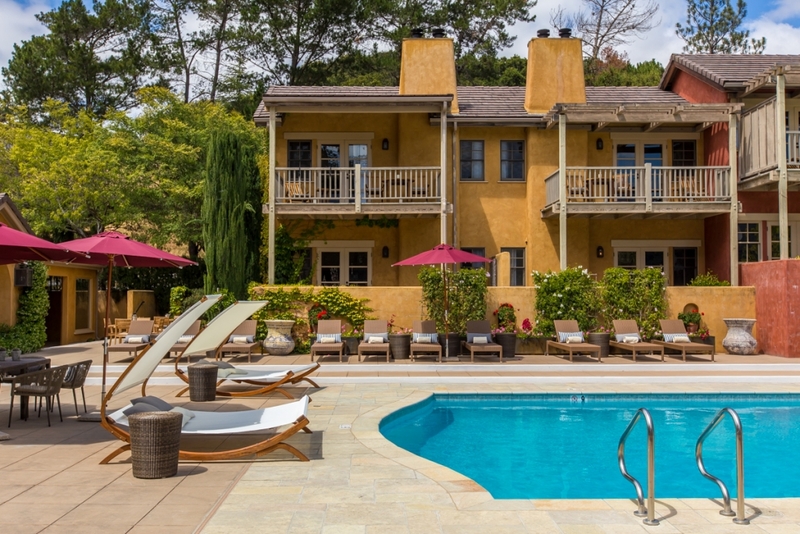 Set within the natural splendor of Carmel Valley’s wine country, the newly refurbished resort features roomy suites with luxurious creature comforts like a fully-stocked complimentary mini bar and spa-like bathrooms. Every Californian seaside town adds their own spin to their slice of coastal paradise. 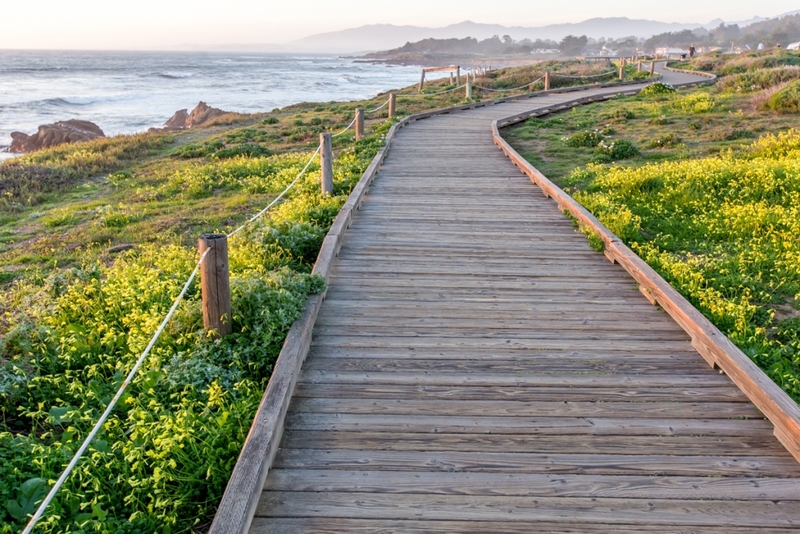 In Cambria, a wooden boardwalk meanders through fields of sage and wildflowers along Moonstone Beach with the occasional staircase to access to the sandy shore below. Come at sunset and watch for the storied green flash that appears as the sun dips into the Pacific. 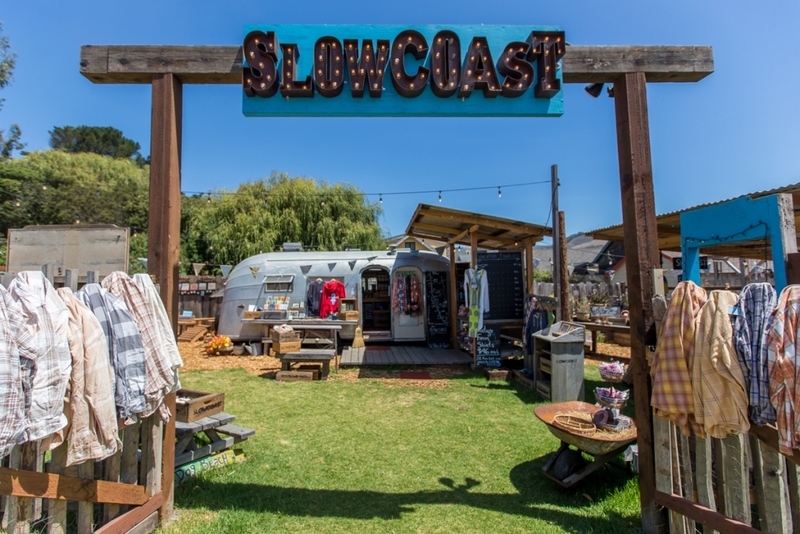 Some of Highway One’s most scenic beaches and picturesque farm stands are strewn along the route between San Francisco and Santa Cruz. Load your iPod with breezy tunes and plan stops at the wildly scenic Bean Hollow State Beach, a light-strung farm stand at Pie Ranch, sweet berry cobblers from Swanton Berry Farm, an atmospheric nature center at Rancho del Oso, beach cove magic at Shark Fin Cove, and, of course, the Slowcoast Airstream. There’s just something about Big Sur that soothes and inspires like nowhere else. After marveling at the vibrant, aquamarine waters of Partington Cove and trekking the soaring Ewoldsen Trail, cap the day with a sunset drink and edge-of-the-world views at Nepenthe. Bed down at Glen Oaks or pitch a tent amidst the redwood groves of Ventana Campground. Palm Springs’ iconic blue swimming pools and soaring palm trees could grace the cover of every California guide book. 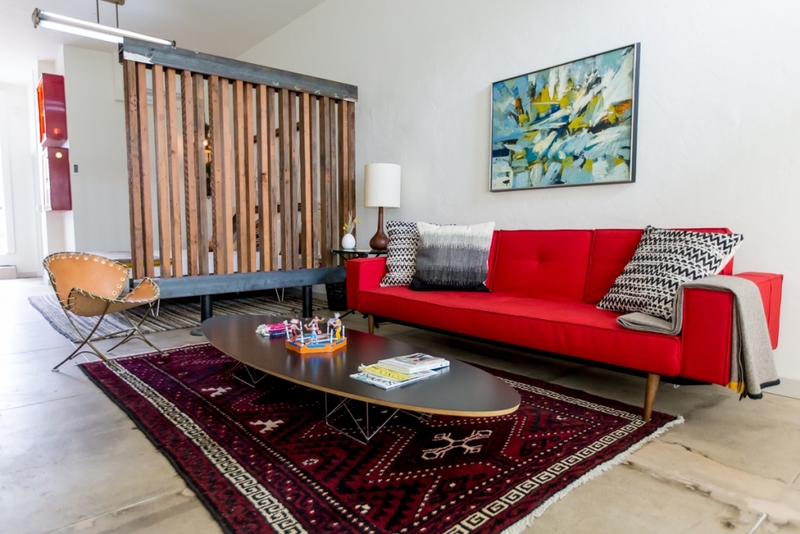 Find your piece of the mid-century dream in the historic Las Palmas neighborhood. Peel yourself away from the pool for tiki drinks at Bootlegger, kitschy-cool goods at the Shag store, and al fresco pizzas at Birba. The property you see above is going to have to remain a Weekend del Secret, but you can find similar homes on VRBO. A new generation is rediscovering the magnificent early 20th century architecture of Downtown Los Angeles thanks to an unending stream of new restaurants, bars, and cultural destinations. Marvel at elaborate old movie palaces on a walking tour with LA Conservatory, ogle art and architecture at the stunning Broad Museum, sip cocktails amidst the natural history museum like setting of Clifton’s, and snack on tacos in the Airstream-equipped urban garden at Chica’s. And yes, the line at Eggslut is worth it. If you think Sacramento is solely the domain of high school field trips, you need to set aside a day to stroll Midtown. 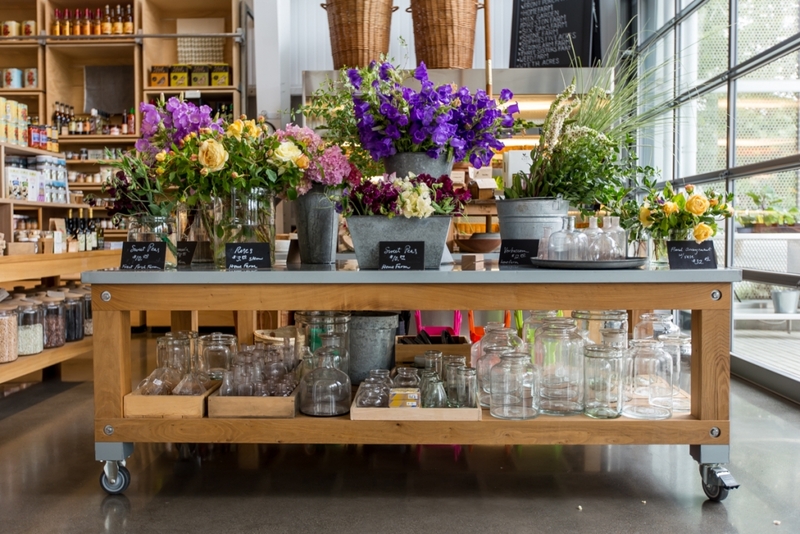 The walkable, tree-lined hood is home to shops like vintage-cool Scout Living, frozen treats at Ginger Elizabeth, third wave brew at Temple, and good grub and local beers at eateries like The Federalist. In Napa, you need to research a lengthy list of wineries and restaurants to visit. 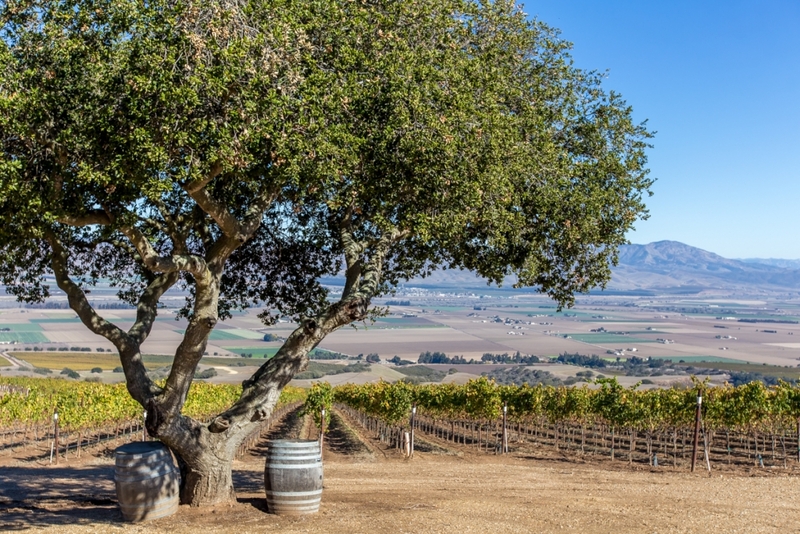 In Sonoma, you need only know one route: Wine Road. Grab one of their souvenir-worthy maps nearly anywhere in Sonoma’s wine country and follow it to the Xanadu-like grounds of Jordan Winery, the Rhone influenced wines at Frick Winery, the sleek foodie temple of SHED, cocktails and bocce at Campo Fina, and gorgeous wine country cuisine of Valette. 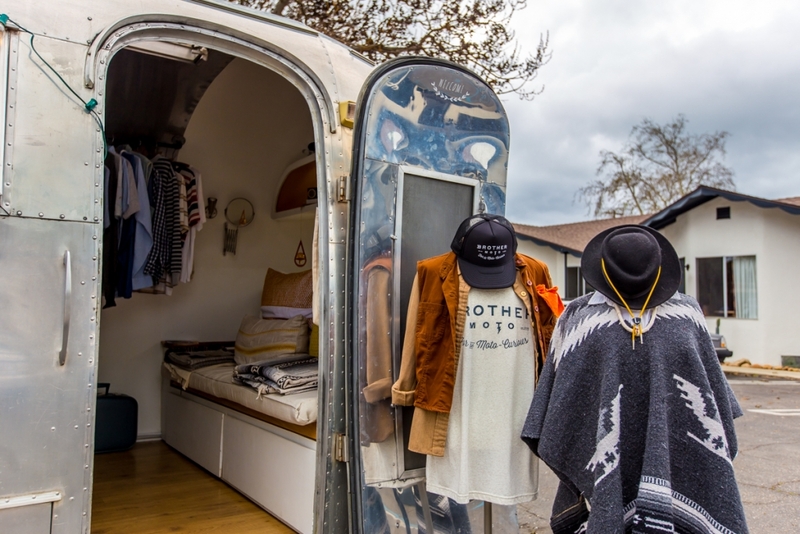 Originally a refuge for migrants of the Mexican Revolution, this burgeoning Barrio Logan neighborhood south of the fashionable East Village marries contemporary style with Mexican heritage. Sip horchata lattes at Por Vida, savor chorizo tacos on homemade torillas at Salud, clink pints of Agave Hibiscus Saison at Border X Brewing, and crash at One Bunk whose mini fridge comes stocked wtih mezcal and Mexican craft brews. San Franciscans have long bolstered their pride by sneering at touristy Fisherman’s Wharf. That’s about to change thanks to a new crop of places that would be at home in any part of the City. In Ghirardelli Square, Lagunitas has a beer garden and Bluxome Street Winery pours Chards and Pinots in a striking historic space with waterfront views. Sammy’s Aloha has poke bowls and Waxman’s dishes up contemporary California cuisine enjoyed al fresco. 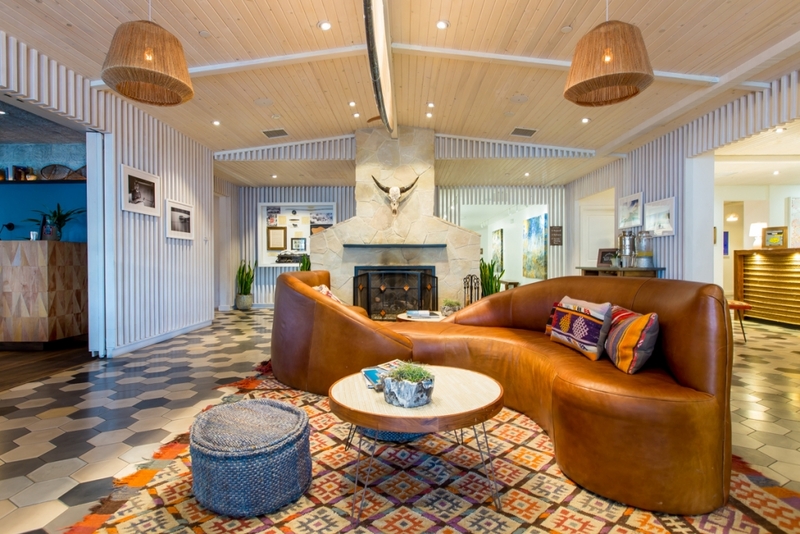 Hotel Zephyr makes for a stylish retreat with a remarkable 10,000 sq. ft. courtyard full of fire pits, games and fountains. 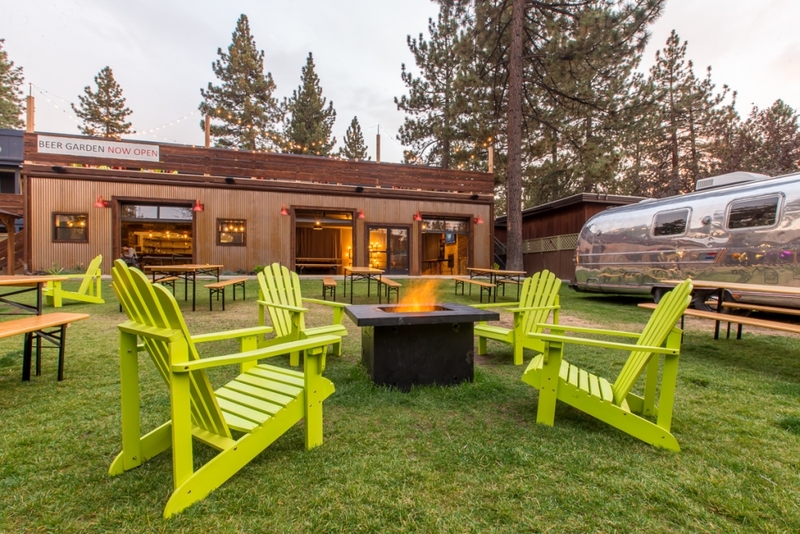 There was already much to love about the retro-camp themed Basecamp Hotel in South Lake Tahoe: indoor tents, kitchy-cool decor, and a bag of s’mores fixins to roast round the fire. 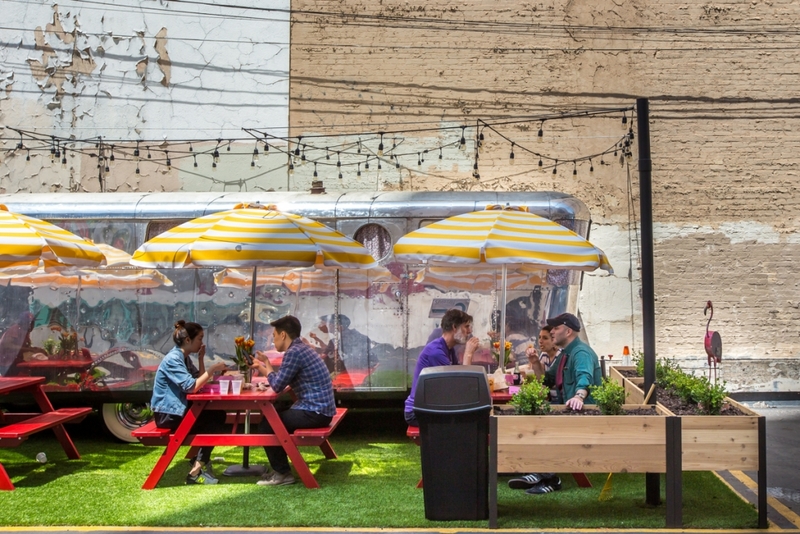 Now they’ve added a sprawling beer garden equipped with picnic tables, fire pits, a light-strung outdoor deck, and a gleaming Airstream available for parties. Headed north? Check out their just-opened Tahoe City property. Ugh. You’re right.. I haven’t gotten away from home for years.. Pathetic..
Hmm, I knew Airstreams were trendy, but now I really know based on the number of them popping up in these images! So many interesting ideas here that I don’t know where to start. OK, I’ll start with Mendocino County because still haven’t been there. 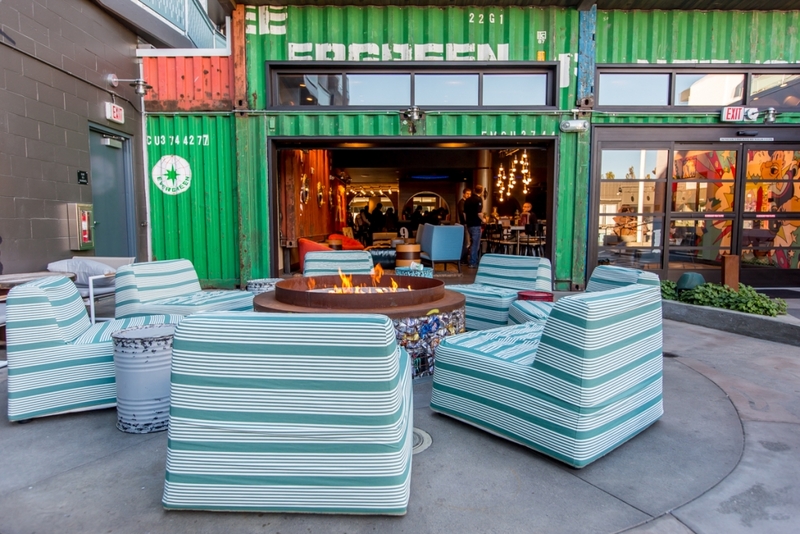 Good to know about the new things in SF–we are big Lagunitas fans, so we’ll check out their beer garden there soon. I want to do all of them!! !